Designed in collaboration with Corse Design Factory, the promotional poster for DIFFA’s Picnic by Design embodies the fresh, natural, urban and fun vibe of the event. 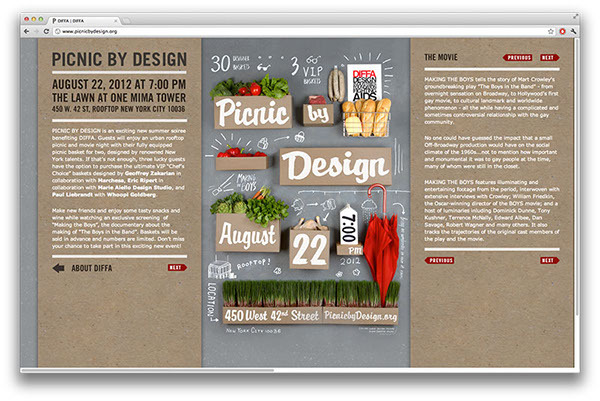 As part of the committee-organizing Picnic by Design, Input and Corse took the lead in creative direction and branding through the dictation and design of the visual language used throughout all brand messaging and media. The concept for the poster was based on “object making” where individual elements are combined to create a story and evoke an emotion. To tell our story of an urban picnic, we used fresh food, a concrete backdrop, cardboard and hand lettering. 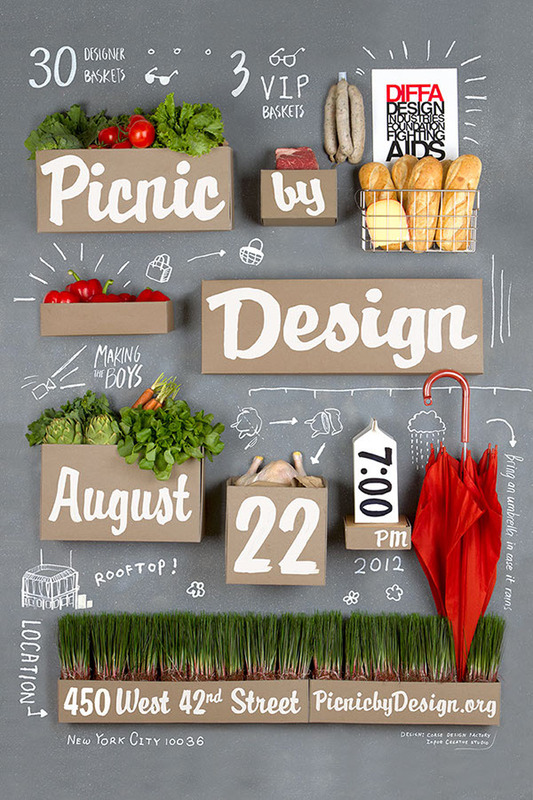 Visual, graphic and informative the poster for Picnic by Design tells the tale of the ultimate designer picnic.